Muse: 'Thought Contagion' Lyrics, Stream & Download - Listen Now! 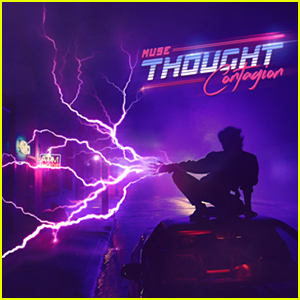 Muse is back with a brand new single called “Thought Contagion,” which you can listen to right now! The group released the new song, produced by Rich Costey and Muse, on Friday (February 16). “The meaning of the song ‘Thought Contagion’ is about how other people’s thoughts, ideas and beliefs can sometimes infect your mind, get into your head and change the way you think yourself,” said Matt Bellamy. The group were presented with the Best Festival Headliner at the NME Awards earlier in the week. Listen to “Thought Contagion” below! 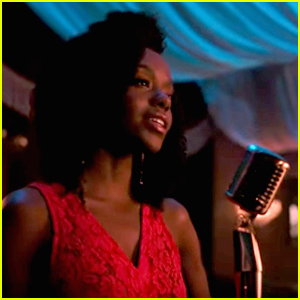 You can also download the song on iTunes. Haim strike a fierce pose while hitting the red carpet at the 2018 VO5 NME Awards held at the 02 Brixton Academy on Wednesday (February 14) in London, England. 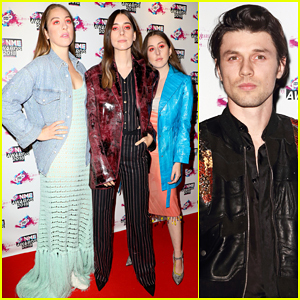 The ladies – Este Haim, Danielle Haim and Alana Haim – were joined at the event by James Bay, Garbage‘s Shirley Manson, Anne-Marie, Craig David, Ella Eyre, Stefflon Don, Neelam Gil, Liam Gallagher and the members of Muse – Matt Bellamy, Chris Wolstenholme and Dominic Howard. The ladies of Haim took home the award for Best Intentional Band while Stefflon Don won Best New Artist, Muse won Best Festival Headliner, Shirley was honored with NME Icon and Liam with the Godlike Genius Award. FYI: The Haim sisters are wearing Acne Studios. M.I.A Wins Her First-Ever European Award At Q Awards 2016! 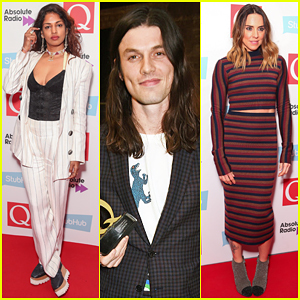 M.I.A strikes a pose on the red carpet while attending the 2016 StubHub Q Awards held at The Roundhouse on Wednesday (November 2) in London, England. The 41-year-old rapper was joined at the event by Best Solo Artist winner James Bay, Best Act In The World Today winners Matt Bellamy and his band Muse, Melanie C, Best Track winners Bastille, Best Breakthrough Act winner Jack Garratt, Q Hero award winner Meat Loaf, Blondie‘s Debbie Harry and Chris Stein, U2 members The Edge, David Evans and Adam Clayton. StubHub Q Awards 2016: M.I.A. Matthew Bellamy and his girlfriend Elle Evans display proud grins at the 2016 Grammy Awards held at the Staples Center on Monday (February 15) in Los Angeles. The 37-year-old Muse singer and his 26-year-old model girlfriend celebrated the band’s big win with fellow member Dominic Howard after the ceremony. Muse won the Best Rock Album Grammy for Drones. 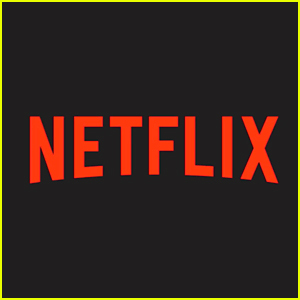 They also won the Best Rock Album Grammy in 2011 for The Resistance. FYI: Matthew is wearing an Emporio Armani suit. Kate Hudson is a purple beauty while attending the 2013 iHeartRadio Music Festival at the MGM Grand Garden Arena on Friday (September 20) in Las Vegas. The 34-year-old actress was at the music festival to support her partner Matthew Bellamy, who was performing with his band Muse. Muse wowed the crowd with some of their hit songs, such as “Follow Me” and “Starlight” after being introduced by Stephen Amell and Ashley Greene. Last weekend, Kate was spotted showing off her midriff while flying out of Rio de Janeiro, Brazil. FYI: Kate is wearing a W. Britt ring and bracelet. Kate Hudson: BRIT Awards After Party with Matthew Bellamy! Kate Hudson is all smiles at the 2013 Warner Music Group Post BRIT Awards Party held at the Savoy Hotel on Wednesday (February 20) in London, England. 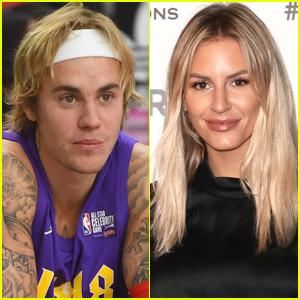 The 33-year-old actress attended the party to support her fiance Matthew Bellamy, who performed the song “Supremacy” with his band Muse to open the show that evening. Muse was nominated for the British Group award and for Best Live Act, but lost to Mumford & Sons and Coldplay, respectively. Matt walked the red carpet that night with his band mates Dominic Howard and Christopher Wolstenholme.